This is another indispensable bodywork video. If you’re a bodyworker seeking to deepen your understanding of pelvic dysfunction, this workshop is for you. By understanding the fundamental dynamics of the pelvis, your practice will improve by leaps and bounds. 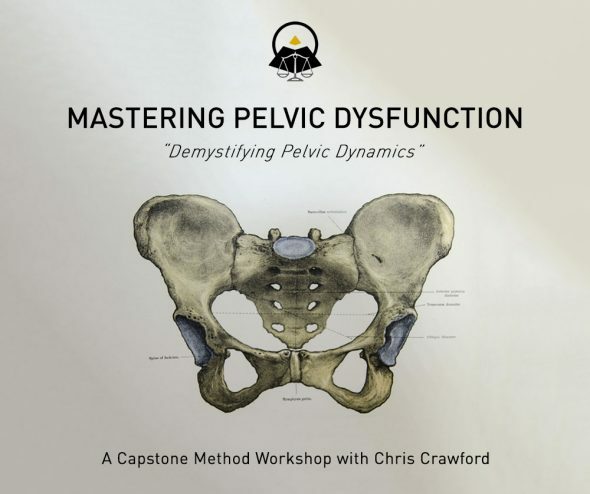 The Mastering Pelvic Dysfunction seminar is essential information for every practioner doing structural bodywork. The pelvis is the foundation of the entire body. Fixations can result in global compensations. This can be the origin of leg length descrepencies, cranial imbalances, thoracic outlet problems, etc. The seminar teaches the planes of motion needed to effectively treat innominate fixations. It is important to apply treatment in order to balance the pelvis. Some very effective and novel pelvic dysfunction treatment techniques are covered in this video workshop. The package gives practical knowledge that can literally be used on every client. This seminar is another essential tool for every bodyworker’s toolbox. This entry was posted on Saturday, July 22nd, 2017 at 11:38 pm. It is filed under Mastering Pelvic Dysfunction, Online Workshop Products and tagged with manual-therapy-video, manual-therapy-workshop, pelvic-dysfunction, pelvic-technique, pelvic-treatment. You can follow any responses to this entry through the RSS 2.0 feed.